With the ever-growing opportunities and intensifying, competition Software as a Service (SaaS) companies require a unique approach to Search Engine Optimization to take advantage of the opportunities to overcome challenges and thrive in a competitive market. 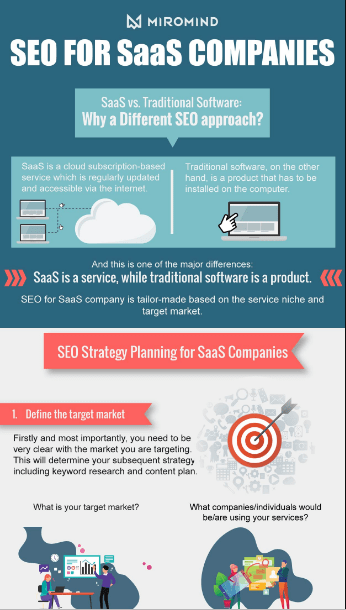 Miromind's SEO for SaaS companies tips offer actionable advice for one of the fastest-paced industries to help your SaaS business succeed, gain organic search traction and acquire customers. Our industry-specific expertise allows us to offer actionable strategies devised specifically for SaaS companies that actually work.